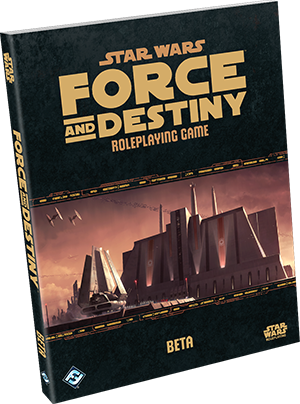 Fantasy Flight Games has posted an update about the beta test for their Star Wars: Force and Destiny roleplaying game. Early copies of the game were on sale at Gen Con and the idea is the community will provide feedback for the game. Fantasy Flight is holding off that feedback for a bit. The company is going to wait until copies of the beta are available in stores before they start posting updates, so they can get opinions and feedback from them as well. The beta process of the game will run for eight to ten weeks depending on feedback and the changes that need to be made. You can discuss the game with others in a dedicated forum. You can also submit feedback to them directly at forceanddestinybeta@fantasyflightgames.com. Throughout the process, the company will also be posting updates and additions they’re considering after reviewing the feedback. The first beta update should be released September 9th.